Is there any paperwork or document for the mechanical systems of 15277 Yonge St, Aurora, Ontario? I need more information about the property at 15277 Yonge St, Aurora, Ontario. How ist the neighborhood, location and nearby amenities for 15277 Yonge St, Aurora, Ontario? I have questions about the roof, foundation, insulations and mechanical issues of 15277 Yonge St, Aurora, Ontario? I need more information about property details. What's wrong with this house? Is this a short sale? Is there any maintenance for 15277 Yonge St, Aurora, Ontario? What is this property worth in today's market? What are "closing costs", and how much? What steps should I take when looking for a home loan? What price home can I afford? Is my credit good enough to buy this house? What are the best mortgage options for me? How flexible is the seller on the asking price? How low can I consider offering for 15277 Yonge St, Aurora, Ontario? Live Without Compromise! 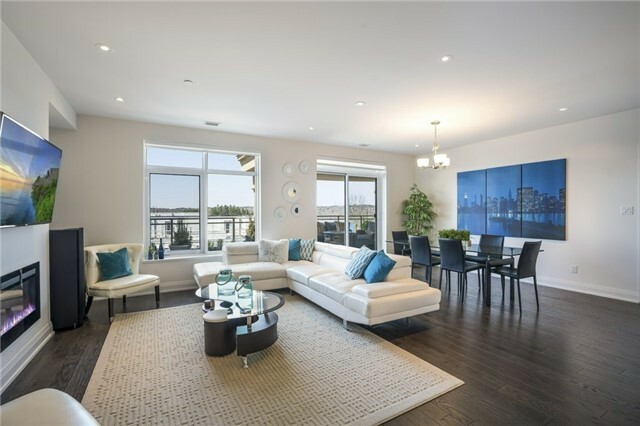 Big, Bright, Beautiful 1317 Sq Ft Condo W/ 800 Sq Ft Terrace. Chefs Kitchen Boasts Breakfast Bar, Dbl Wall Ovens, Cer Cook Top, & Ss Appl. Open Concept Lr & Dr Feat. Fireplace, Walk-Out, Floor-To-Ceiling Windows. Master Bdrm Has W/I Closet, Spa-Like 5-Pc Ensuite. Second Bdrm Also W/O To Terrace. Hand-Scraped Hdwd Floors, 9 Ft Sm Ceilings W/ Pot Lights, Granite & Marble Thruout. Most Luxurious Bldg In Aurora! Gorgeous Amenities! 2 Parking Spot! 2 Storage Lockers! Incl. Ss Dishwasher, Fridge, Two Wall Ovens, Microwave & Exhaust Fan; Ceramic Cook Top; Stacked Washer & Dryer; All Elf, All Window Coverings, Fireplace & Remote. Walk To Go, Shopping, Restaurants.